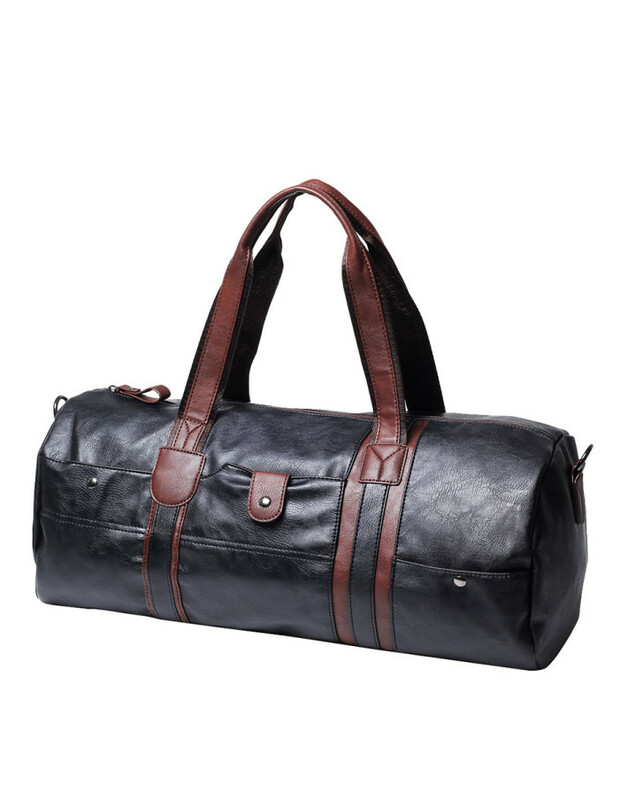 The Oyabe Duffle bag is the bag you get out when you are ready for a full day of adventure over the weekend or the perfect companion to hit the gym. It’s so beautifully designed that you’ll never want to leave the house without it. Whatever your day holds, the bag can handle it. Handcrafted with our proprietary vegan leather, the Oyabe Duffle bag displays great water-resistant properties while being durably scratch-resistant. Details · Fits everything you need for a gym session or a runway weekend trip · Folds flat for easy storage · Large main compartment with full length zip and puller · Wall pockets for wallet and smartphone · Secure inside zip pocket for cash · Adjustable and detachable shoulder strap Dimensions · 30cm(H) x 46cm(L) x 22cm(W) Also available in: · Dark Brown World Wide Delivery We ship anywhere you are. Select your country during checkout. The Oyabe Duffle bag is the bag you get out when you are ready for a full day of adventure over the weekend or the perfect companion to hit the gym. It’s so beautifully designed that you’ll never want to leave the house without it. Whatever your day holds, the bag can handle it. 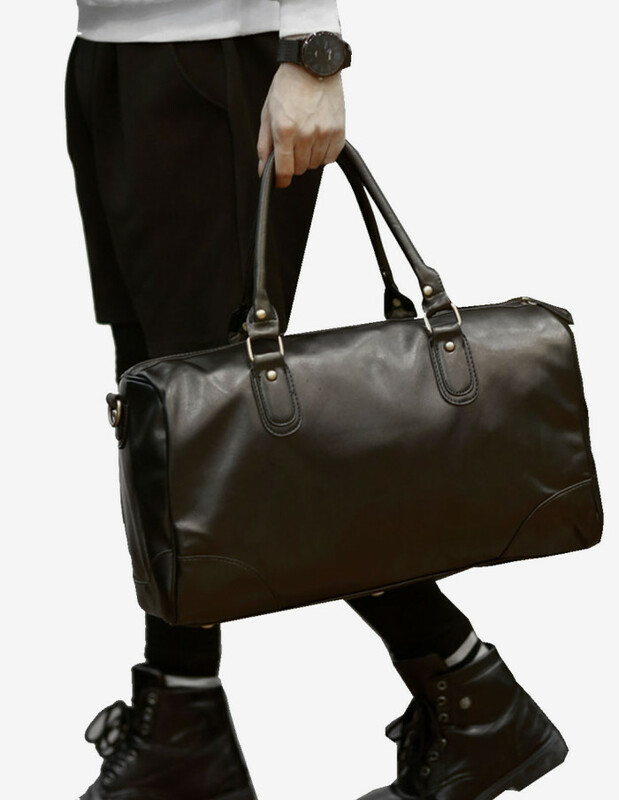 Handcrafted with our proprietary vegan leather, the Oyabe Duffle bag displays great water-resistant properties while being durably scratch-resistant. Details · Fits everything you need for a gym session or a runway weekend trip · Folds flat for easy storage · Large main compartment with full length zip and puller · Wall pockets for wallet and smartphone · Secure inside zip pocket for cash · Adjustable and detachable shoulder strap Dimensions · 30cm(H) x 46cm(L) x 22cm(W) Also available in: · Classic Black World Wide Delivery We ship anywhere you are. Select your country during checkout. The Toride Duffle Bag is elegantly poised on the outside, with an interior that allows you to just take off with all your travelling essentials and more. Handcrafted to the utmost elegance, the Toride Duffle Bag is a statement of the modern traveller who values freedom and traveling smart. Details · Constructed with scratch and water resistant Microfiber Vegan Leather · Fits everything you need for a gym session or a runway weekend trip · Large main compartment with full length zip and puller · Wall pockets for wallet and smartphone · Secured inside zip pocket · Adjustable and detachable shoulder strap Dimensions 26cm(H) x 45cm(L) x 19cm(W) World Wide Delivery We ship anywhere you are. Select your country during checkout.